Last updated on May 18, 2015 June 16, 2015 by Daniel Waldron for Armagard Ltd.
Digital signage divides opinion! Some small businesses say it’s an exclusive luxury reserved for bigger corporations, while some larger businesses say a digital signage network is one massive maintenance project. The truth is, much of the talk spouted about digital signage is opinion, not fact. It’s time some digital signage myths were dispelled. What are the top 3 digital signage myths? 99.9% of the time, cost is the first topic of debate for any type of purchase and it’s no different with digital signage. ‘Digital signage is expensive’ was a true statement when it first arrived on the scene, but this is true of any new innovation. Historically, digital signage was a budget busting, logistical nightmare with early-users having to coordinate various vendors just to get digital setup. During the digital signage days of old, budgets were blown on costly equipment, specialised software, labour and monthly fees. However, the message to businesses today is that digital signage is inexpensive. Suggestions that it’s overhyped and overpriced are simply lingering digital signage myths. Today’s digital signage is much more affordable. End-users can now operate their own digital signage network, purchase hardware at a fraction of the price compared to early days and run software using their existing systems. As the digital signage scene has grown more competitive, prices have plummeted and with more ‘complete’ solutions hitting the market, businesses of all sizes are getting increased value for money. 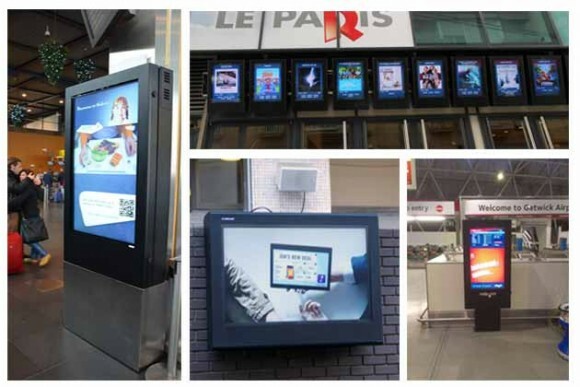 The digital signage arm of Armagard’s business focuses on the complete solution, providing you with the option to buy an outdoor digital signage enclosure unit equipped with a screen and media player. This represents a massive time and cost saving because there’s no need to source hardware separately. The added bonus is that you get a protective unit which, depending on the solution you opt for, can be used indoors or outdoors and gives you a system that lasts for 10 years or more. Digital signage will enable you to reap more money than is sown on the initial investment. Firstly, if you consider that traditional ways of advertising are subject to recurring costs, digital signage requires a one-time only investment, meaning you reap an instant monetary saving. Secondly, digital draws people, encouraging them to spend and increasing your revenue. The benefit of increased revenue is a swift return on investment (ROI) and long-term, your bottom-line could significantly improve. Thirdly, supplying information digitally can be done continuously and saves money on print costs, distribution and wasted materials that are eventually discarded following the completion of a promotional campaign. Ultimately, with digital, promotional campaigns can be as timeless as you want them to be. There’s an assumption that alongside high costs, digital signage is also high maintenance. This just isn’t the case. If you consider the labour that goes into traditional advertising methods, comparatively digital signage is less logistically challenging once it’s up and running. Many prospective customers also raise concerns pertaining to vandalism, theft or breakdown. However, there is one solution to nullify these threats. A digital signage enclosure represents complete protection for any display. Armagard’s digital signage solutions not only protect against environmental threats, but stand firm against tampering and theft. Functionally, digital signage can be managed remotely, requiring very little onsite maintenance. You can update content from a central point and you can also manage the ‘environment’ of an enclosure with control over on-off commands for air curtains, fans heaters and power outlets. Evidence suggests otherwise, the market is emerging and they only emerge if there is a need. Yes, digital signage is a relatively new communication spectrum and if its popularity was confined to just one industry sector, perhaps we’d be inclined to agree that it doesn’t work. We could go on. It’s probably more the belief that there’s a fear digital signage won’t work. However, if you consider the modern consumer, digital is actually a massive part of consumer life and decision making. The digital world is evolving around us, TV, smartphones, iPads and other digital devices are the evidence that a digital era has emerged and you as a business have to meet the consumer consensus, which is digital. The question is how can you reach a digital audience without adopting digital as a business? 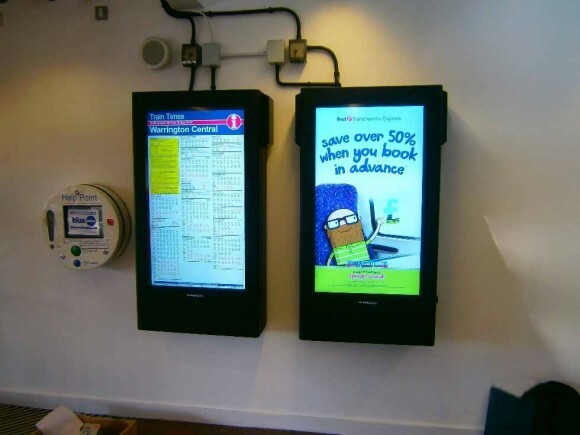 We propose to you that ‘traditional’ advertising is not as effective as it used to be and if you’re still engaging in traditional methods, the money you’re spending without achieving the desired result can easily be reinvested in digital signage advertising. Digital signage also gives you something other advertising methods cannot give your business, your own revenue generating system. You will no longer need to rely on print media or internet advertising, and pay someone else for the privilege of promoting your business. Investing in print & internet advertising, boosting someone else’s revenue, can stop. Instead, with a digital signage system, you can get them to come to you. In ‘seasons’ that you’re not running a campaign, you have the opportunity to make your digital signage system available to other businesses eager to advertise and if there’s no conflict of interest, why not do it? Digital signage works because it’s yours to do whatever you want with, you’re no longer confined to deadlines or reliant on others to manage your advertising. The fact that it’s implemented by you means that you can trust it. Ultimately, digital signage puts you in control. Don’t buy into digital signage myths, buy into the future of your business. Digital signage can work for you in many different ways and Armagard can help you with your journey. We’ve been in the business for over 20 years, adapting to trends to deliver outstanding digital signage solutions. We understand the market well and that’s why we offer complete solutions that enable you to keep costs down and save you time on sourcing the right system for you. 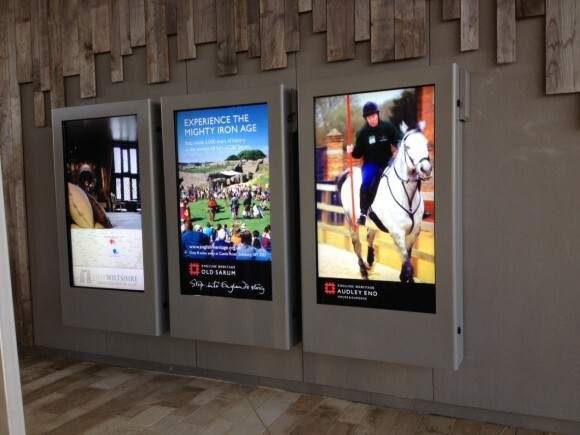 Digital signage success: What does it look like?